Celebrating Colombia | Small Batch Roasting Co. This month we’re celebrating Colombia. The land of plenty. Producers in most of the regions we buy from in theory have two distinct harvests per year, but because of climate change most of growers are quite literally picking cherries throughout the whole year. Unpredictable weather patterns mean out-of-season rainfall, or less rainfall when expected, leading to more erratic flowering across the seasons than ever before. There are many flow-on effects, mostly negative. Small-scale farming is all about planning, and the timing of investment in inputs and labour to coincide with when specialty buyers are actually exporting is crucial. That coffee is ready to be picked and processed outside of traditional seasons means many farmers have coffee to sell but no-one to buy it at the price it deserves. We export out of Colombia at least four times a year to be able to support our growers as much as we can. We created a Colombian company and gained an export license for the very purpose. This also means that we have super fresh lickety-split Colombians kinda all the time. And as lots tend to be pretty tiny in general, our ecological smallholders can spend a lot more attention and care in processing, meaning our Colombians are pretty exceptional kinda all the time. So! Without further or do. FILTER from San Agustín, HUILA. Our long-time portfolio producer, smallholder Yamid Quinayas has graced our offer list recently with his stellar Caturra varietal. He has come up trumps again with his Typica lot. Typica is a traditional heirloom cultivar, and the first ever introduced into Colombia. Yamid loves this varietal, and as a recipient of our farmer-to-farmer Eco Training program is transitioning away from chemical inputs across his whole farm. This is an incredible undertaking with old and non disease-resistant coffee varietals like Typica. But the cup quality from non-hybrids is spectacular and well worth the effort. In fact, traditional varietals that were not bred to be dependent on high amounts of chemical fertilisers (they are bred for yield over cup) are much more adaptable to organic agriculture. 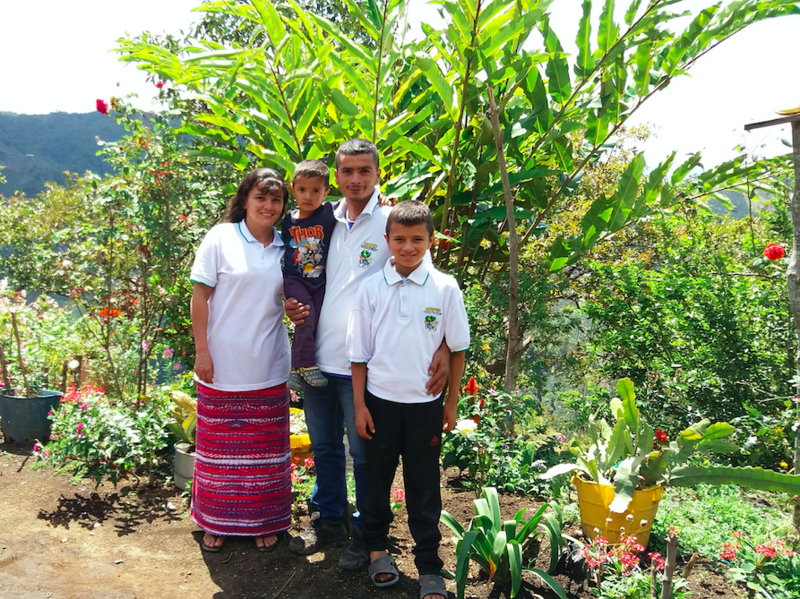 We’re further supporting Yamid, as well as his Grandfather Noe, his Aunt Edilma and his Dad Miller who also sell us microlots, with micro-financing all year long to relieve the very real economic pressures this humble family faces. Yamid’s Typica is gorgeous layers of butterscotch, marmalade and bight juicy tropical fruits. It’s a little too easy to drink cup after cup. Not a Fat Cat: Yamid Quinayas, a true farmer who picks his own cherries. And ESPRESSO from Planadas, TOLIMA. This coffee from José Rodriguez is certified FTO, Bird-friendly and Rainforest. The Association of Small Ecological Producers of Planadas, Tolima, is a long-time partner and supplier of some of our favourite coffees. Not only is the group proudly certified, they champion home-made organic fertilisers and biological controls of fungicides and pesticides that go way beyond what is required by the certifiers. 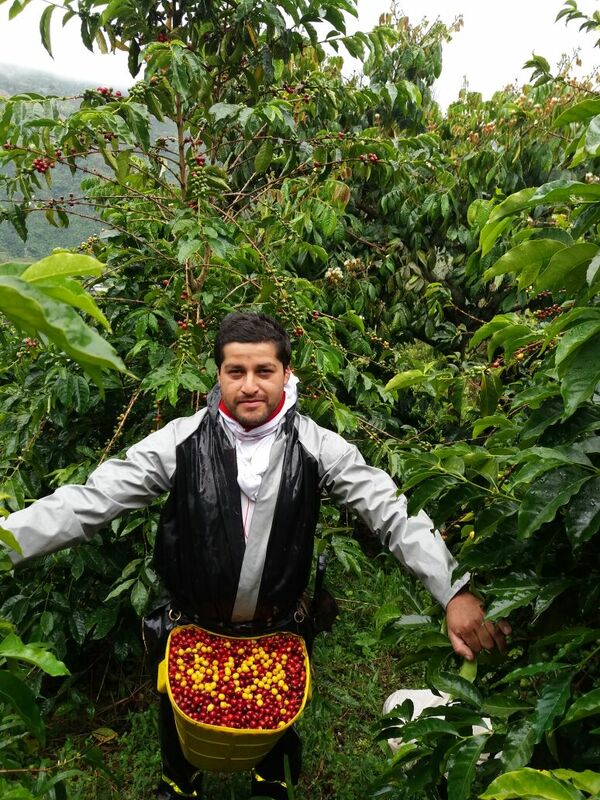 These are the same products we promote and teach to our Huila growers like Yamid. The group is deeply committed to soil and water preservation and the sustainable development of their community, which was for such a long time cut off from international buyers as the zone was a FARC stronghold and area of extreme military and guerilla conflict. Aside from having some of the healthiest and thriving small farms around, the members of ASOPEP are equally as passionate about cup quality. This is not only from a socio-economic point of view, but because they are passionate and excited craftswomen and men. We’ve never seen so many children of producers wanting to stay on the farm and run the family business. Heaps of the kids travel for hours to come to the HQ every week for roasting and cupping training. 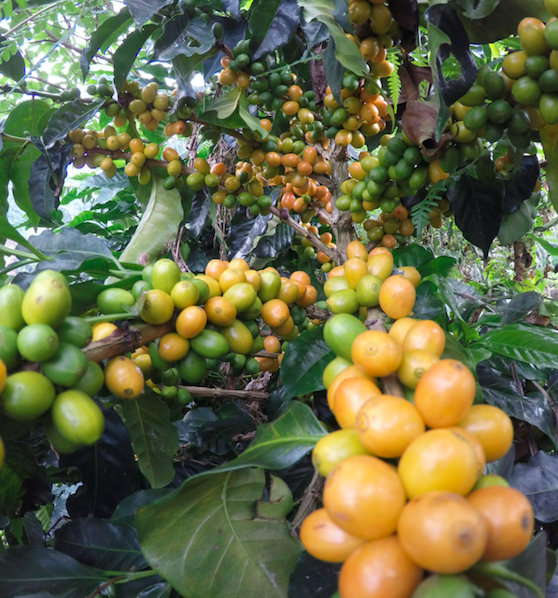 They are brilliant cuppers (when the electricity doesn’t cut out) and the quality of the microlots keeps rising as farmers experiment and receive quick feedback. We’ve lost count of the amount of humidity and brix meters we’ve filled our suitcases with for them, and they are putting them to great use. Jose Rodriguez is 34 years old and has been farming on the family land since he was eight. He now has his own farm where the young family grow all their own food alongside their coffee. He’s been experimenting with different processing techniques in collaboration with the association’s cupping team. A direct quote from Jose: “coffee for me has been an alternative to bring economic stability to my family, one that is in harmony with the environment”. This Caturra lot (grown at 1850masl) is super soft and approachable. Tastes of Anzac biscuit with a lemon sherbert brightness and complex hints of Sencha tea. Sounds like a lot to pack into a coffee but sit with this one for a while, its subtlety belies its complexity. Jose and his family amongst their ornamental flowers.